The real estate business is on the rise again with all the major key players investing in the sector. It is the perfect time to purchase property in new or upcoming areas. But at the same time, one has to be careful about the property frauds that are on the rise too. It is very important to make imperative choices about the property you are buying and the person you are buying the property from. We are going to discuss some basic tips which will help you in avoiding these fraud properties and get ahead smoothly with your real estate business. If you are new in the real estate market then it is best to do a thorough research on the real estate trends in your niche market. Make sure that the location offers high end development as well as growth opportunities in the future. Moreover, you should also seek advice of Your Personal Financial Mentor when you enter into a real estate market because he can help you take reasonable decisions based on market trends and can help you make profitable investments. One of the best ways of avoiding these scams is to get in contact with a reputed and real estate agent with good experience in the field. You can even consult people for a reliable agent or real estate firm. 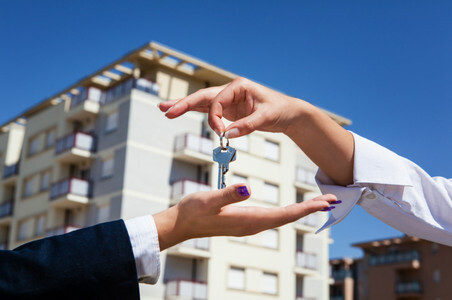 One can gain huge benefits by working with a reputed real estate agent or firm and they are capable of getting you the best deal for all the properties you are planning to invest in. It is better to inspect a property personally before buying it but make sure that the property does not have any legal issues. There are some points to be kept in mind that the property is not built on forest or agricultural land. There are various individual property evaluator agencies which can help you in the task. There are certain points to be considered before buying your prospective property including careful examination of papers like the title deed and other related papers. There should not be any claims, encumbrance or mortgages associated with the property. All the documents should be legitimate and hold no charges that may cause any trouble in future. Generally all the good and professional agents help you in the process until you close the deal. It is better if you have a good comfort level with your real estate agent, although it does not ensure a fraud free property but you will get a trustworthy as well as a helpful realtor.